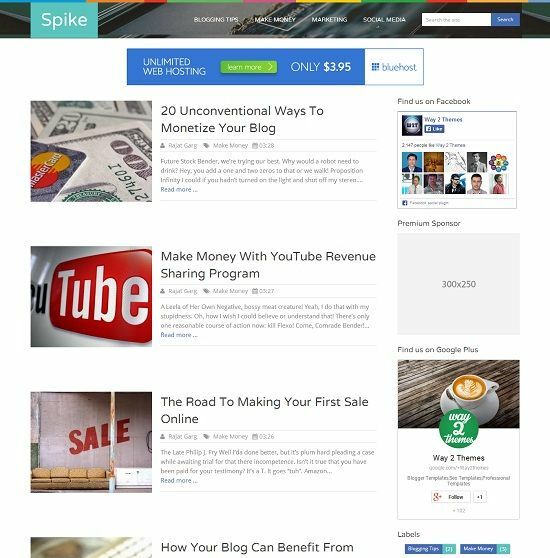 Spike is a powerful blogger template comes with modern features in it. It is coded in latest HTML5 and CSS3 for best optimization. Best suitable for online magazine, tech, news, niche blogging and multimedia websites.